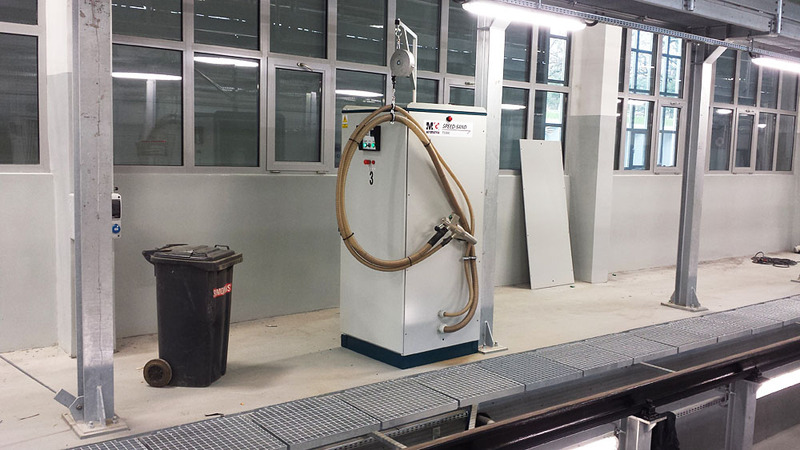 Stationary sand feeding systems for railway vehicles they may be mounted both inside the hall maintenance or directly on board the platform. 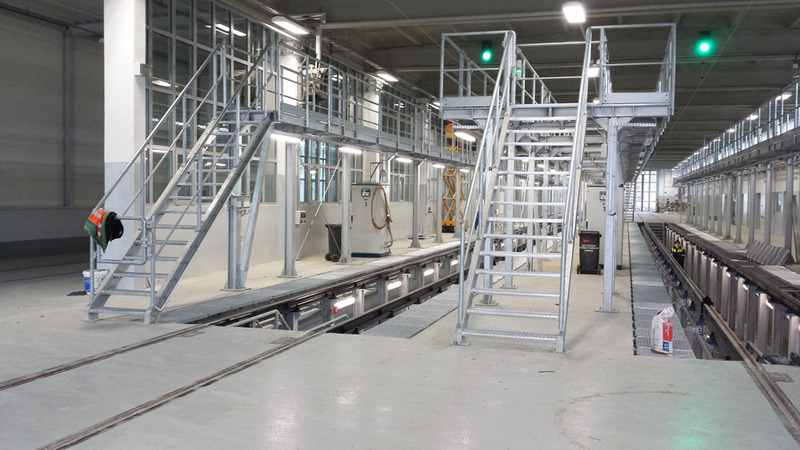 Stationary sand feeding systems reduce time use of rolling stock giving you time to address remaining maintenance operations. 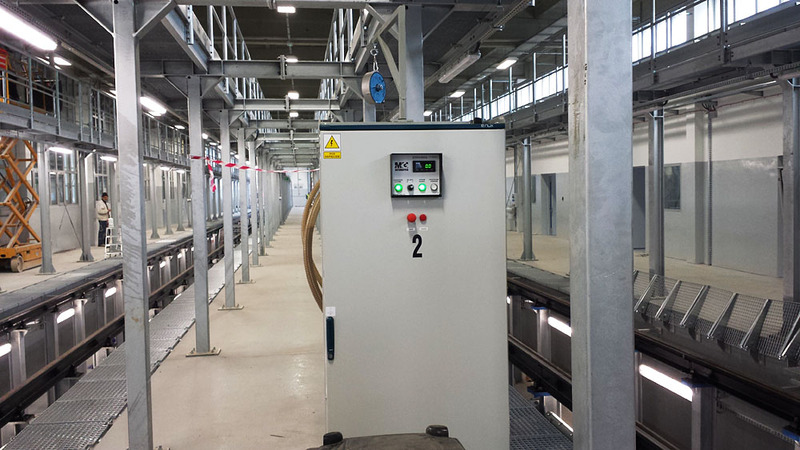 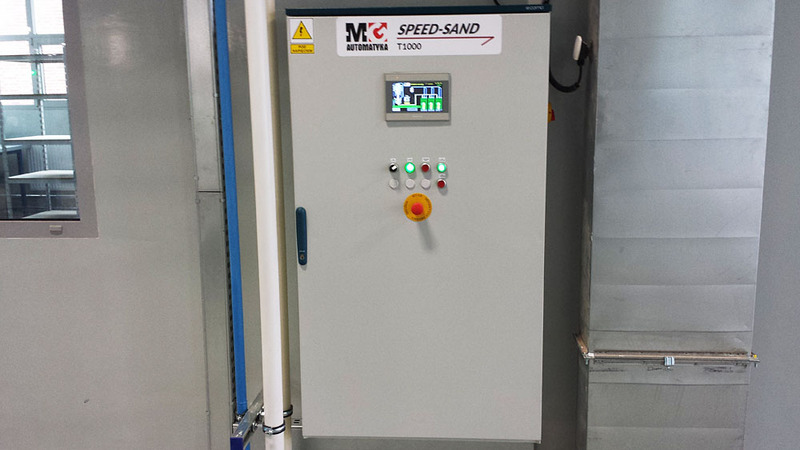 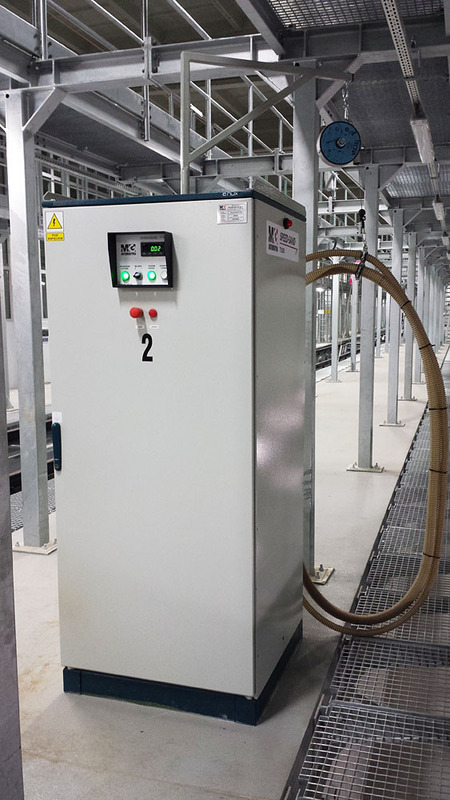 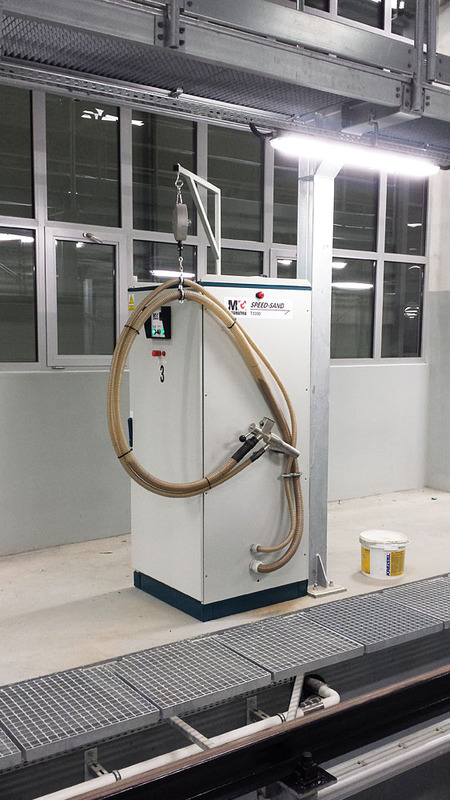 The automatic air return system carries the dust from the individual filling valves to a central filter located near the silo so that no dust escapes into the working area or is conveyed into the sand boxes. 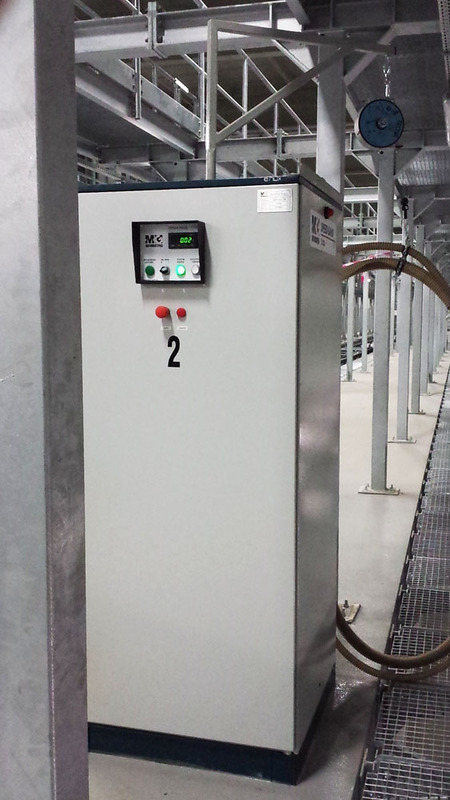 Pipes resistant to abrasion ensures long and reliable work.